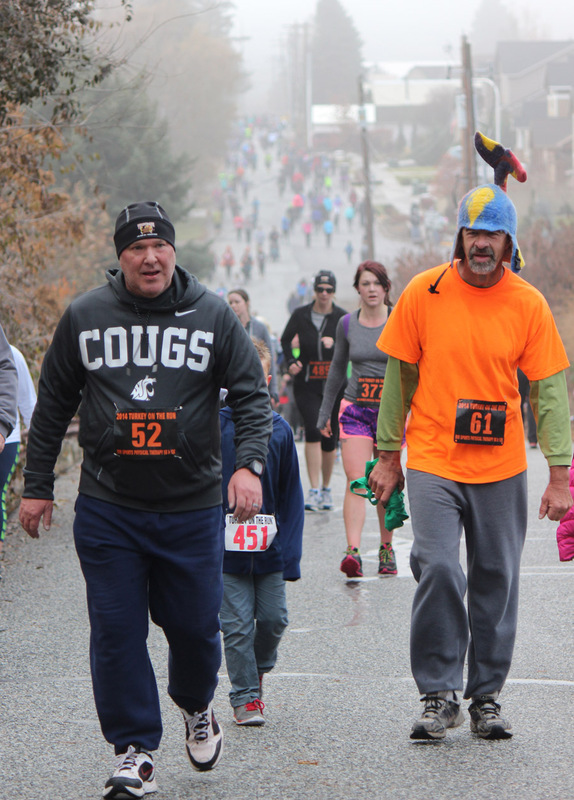 WENATCHEE — Before sitting down to feast Thanksgiving Day, some runners and walkers in Wenatchee logged a few miles. 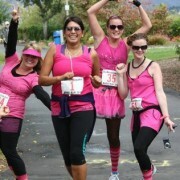 Well, more than just some runners and walkers. 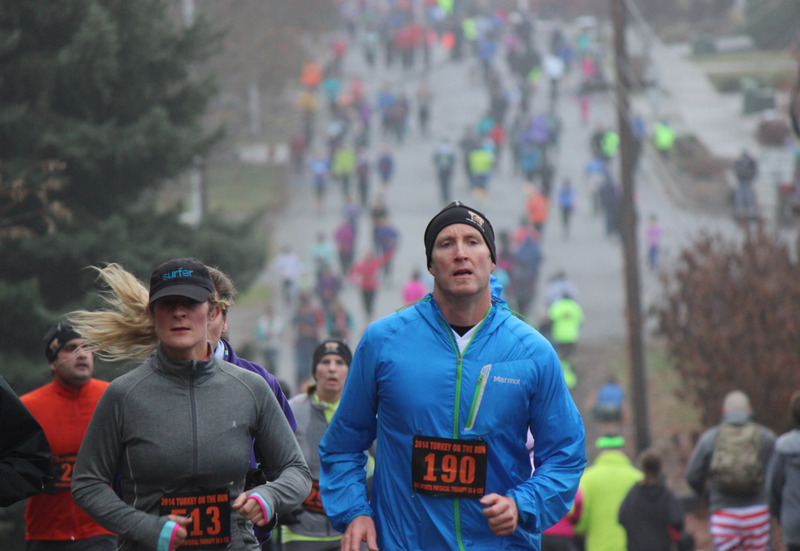 The seventh-annual Turkey on the Run 12K, 5K and Kids Race attracted a record 1,064 participants to the city’s west side Thursday morning under cloudy skies. A year ago, 910 people took part. 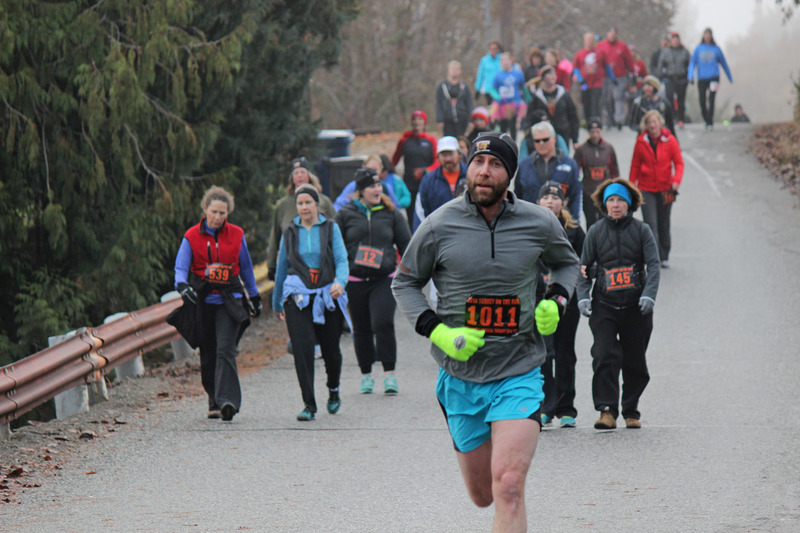 Winners of the individual races included: 12K men — Taija Corso, East Wenatchee, 47 minutes and 32 seconds; 12K women — Kerri Benzenberg Badeau, Seattle, 54:17; 5K men — Sam Martin, Wenatchee, 18:50; and 5K women — Alice Loebsack, Lacey, 22:44. As it has in past years, the event — presented this year by Biosports Physical Therapy — generated money and food for the Women’s Resource Center of North Central Washington. Rhyner said the race went off without a hitch, adding having an extra packet pickup time at Pybus Public Market on Wednesday evening helped ease congestion the morning of the race at Rotary Park. He also praised race volunteers and the Wenatchee Police Department, which helped with traffic safety on Western Avenue. Rotary Park again served as the start and finish for the event. The 12K and 5K out-and-back courses utilized parts of Western Avenue, Springwater Avenue, Woodward Street, Fifth Street, and Number One Canyon Road. 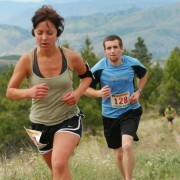 The 1K Kids Race unfolded in the park itself. 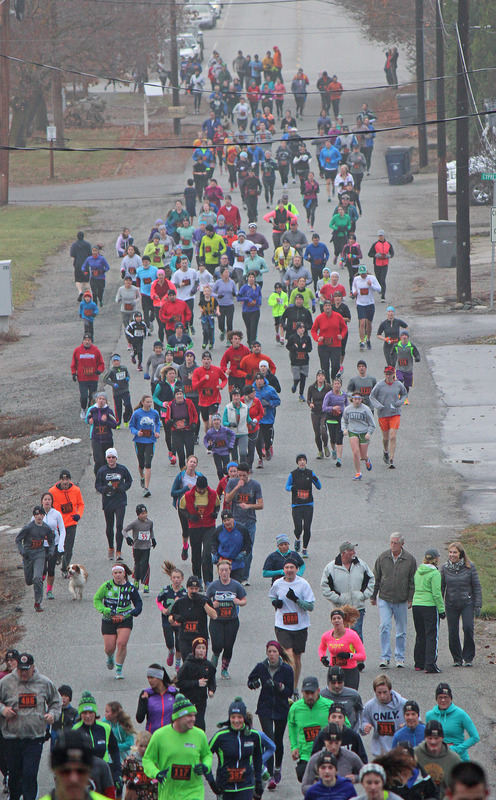 Before the 12K and 5K races started Thursday morning, hundreds of people hung out in the park, chatting away with friends and family members. As is the custom, many wore costumes or sported their favorite football team’s colors. For Wenatchee resident Jessica Beaver, and her three children Kaylee, Marie and David, it was their first Turkey on the Run. Not far away in the park, 44 girls who are part of the Girls on the Run program, along with their adult running buddies, prepared for the 5K by stretching and warming up. The program, which helps girls in the lower grades at Mission View, Lincoln, Columbia and Sunnyslope elementary schools get more fit and improve their self-esteem, had record participation this fall. More importantly, teachers have noticed girls in the program have become more self-assertive and helpful, said program coordinator Maggie Reuter. “As a first-year coach myself, I’ve been amazed by how the program effects both the girls and the coaches,” Reuter said. The total amount of food and money collected for the Women’s Resource Center will be tallied in coming days. A year ago, about $6,000 in food and money was generated. Women’s Resource Center board member Sara Deason said the food collected at Turkey on the Run is used right away and is gone by the end of the holidays. 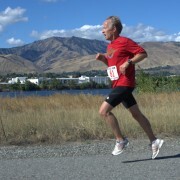 Men's 12K winner Taija Corso of East Wenatchee runs along Woodward Avenue on his way to the finish line in Rotary Park.